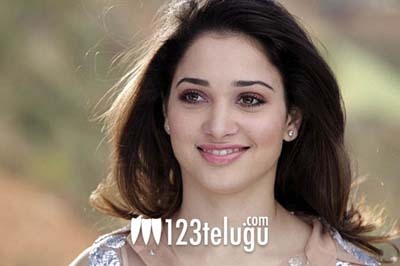 Tamannaah in talks with KV Anand? Her recent big film Himmatwala might have bombed at box-office, but Tamannaah is still a hot property in Telugu and Tamil cinema. She’ll soon be seen in the Telugu remake of Vettai titled Tadaka in which she’s paired up with Naga Chaitanya. Meanwhile, her upcoming Tamil film starring Ajith is being shot in Hyderabad. The latest buzz in Tamil film industry is that she’s in talks with ace director KV Anand for an untitled film. Arya is going to play the lead role in this film and for the past few days there have been rumours that both of them are keen on roping in Tamannaah. Tamannaah had earlier acted in KV Anand’s Ayan which had Suriya in lead role. That film was dubbed in Telugu as Veedokkade and it was Tamannaah’s first superhit in Tamil. It still remains to be seen if Tamannaah signs the project. Apart from all these projects, she has already signed one Telugu film in V V Vinayak’s direction and another Hindi film opposite Akshay Kumar.